Paragon Offshore (PGN) shares are up after the company beats analysts' estimates for earnings and revenue in the first quarter. Paragon Offshore (PGN) shares gain in after-hours after the company beat analysts' estimates for earnings in the first quarter. 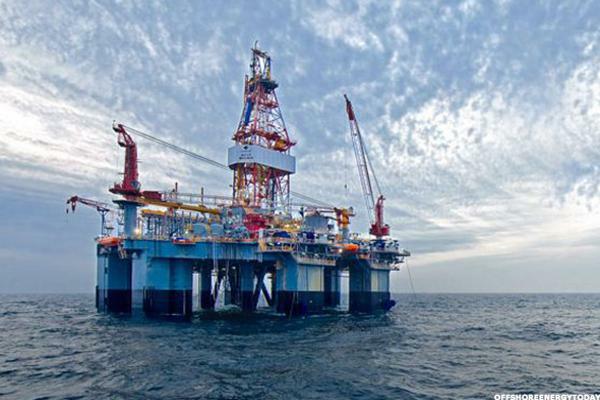 Shares of offshore driller Paragon Offshore (PGN) plummeted in late afternoon trading Tuesday as oil prices declined to stop their recent rally. Find stock ideas in 13F filings. I expect the intraday trading to remain volatile. The valuations for oil drillers are beginning to look attractive. Hagens Berman Sobol Shapiro LLP, a national investor-rights law firm, today announced it is investigating extending the class period in the Duke Energy Corporation (NYSE:DUK) (“Duke”) and Progress Energy, Inc.
Progress Energy (NYSE:PGN) hit a new 52-week high Monday as it is currently trading at $60.96, above its previous 52-week high of $60.94 with 902,011 shares traded as of 10:50 a.m. ET. Average volume has been 2.8 million shares over the past 30 days. Progress Energy (NYSE:PGN) hit a new 52-week high Monday as it is currently trading at $60.81, above its previous 52-week high of $60.76 with 370,698 shares traded as of 10:50 a.m. ET. Average volume has been 2.8 million shares over the past 30 days. Progress Energy (NYSE:PGN) is trading at unusually high volume Monday with 10.3 million shares changing hands. It is currently at 4.1 times its average daily volume and trading up $1.49 (+2.6%). The stock is the best performer in the S&P 500 intraday Monday. Federal regulators clear Duke Energy's proposed takeover of Progress Energy.